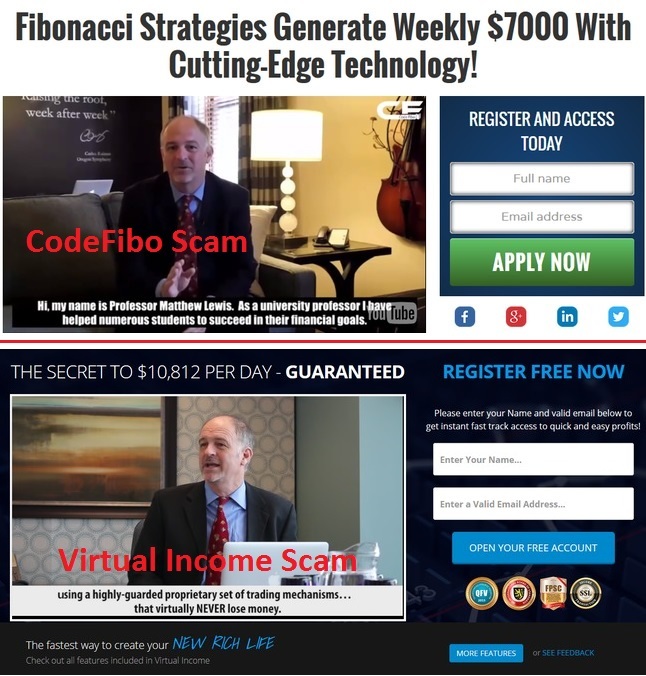 CodeFibo is yet another binary trading software scam that is out to get your money. If you are still considering to sign up, make sure you read this article first – because CodeFibo is a scam. We’ve done the needful investigation and collected conclusive evidence to include in our Code Fibo review. Can you really generate $7000 weekly with CodeFibo software? We’ve had a few readers who emailed to us about their heavily losses with CodeFibo software, and doubted if $7000 profits weekly is possible. First of all, you need to realize that there’s no software on the internet that can generate guaranteed profits for you. Those that claim to do so usually require your deposit or payment before revealing anything, and these are the scams that we try so hard to fight. CodeFibo is one of the online scams that exhibit these characteristics – you don’t really understand how it works, and you have to pay a hefty $250 deposit to find out. By the time people realize it’s a scam, it’s often too late. There is little to no chance you can get your money back. In this CodeFibo review, we look at the evidence to prove CodeFibo is a scam, how you can avoid similar scams in the future, and how you can really make money online. 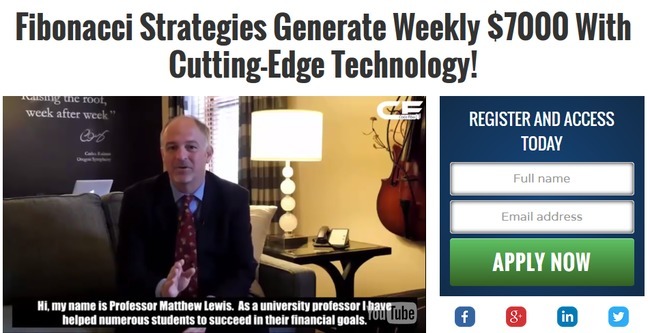 Professor Matthew Lewis is actually a fictitious character used to promote CodeFibo scam. He doesn’t exist, and his identity created for the sole purpose of instilling confidence for the scam. Some of our readers who bought into to the scam admitted that they were convinced by the seemingly authoritative figure. The man in the video is actually just an actor hired to read off scripts. He was also featured in Virtual Income scam that we’ve reviewed earlier. After robbing thousands of victims of their hard-earned money, Virtual Income scam has since been taken down. It’s only a matter of time before CodeFibo scam gets taken down, too. Everything about CodeFibo scam is about appearing legitimate and scamming unsuspecting internet users. 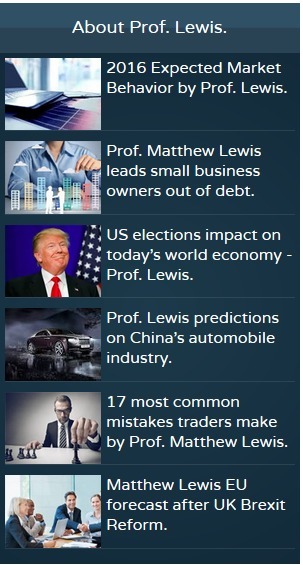 For example, there is a column of seemingly authentic news articles concerning Prof. Lewis. Not sure if you have tried to click and read any of them – but if you did, you’ll realize that these headlines don’t link to real articles. In fact, they trigger a pop-up window that urges you to sign up for the software. This is a big red flag for online scam – anywhere you click brings you to purchasing or trying out the product. If you come across similar marketing tactic in the future, stay vigilant and do some research before signing up for them. As much as CodeFibo scam wants to keep you in the dark, they have to reveal the true nature of the scam somewhere within the website, or risk being on the receiving end of legal actions. You won’t find the risk disclaimer document anywhere in the sales material, because it’s supposed to be hidden from you. The only way to access the disclaimer is to find the small fine print at the very bottom of their sales page that reads “risk disclaimer”. You can authenticate our screenshot against the original disclaimer at this link: websiteterms.co/code%fibo. Due to the high risk nature of trading, ‘Code Fibo” explicitly does not make any express or implied warranties or guarantees that user will make any profit or that user will not lose any or all deposited investment funds. Self explanatory – Contrary to what they promise in the sales materials, CodeFibo scam does not guarantee you any profit. Not only that, you will most likely end up losing ALL of your deposited investment funds. Again, CodeFibo scam admits that trading binary options is extremely risky, and it is only for investors who can stomach the loss of their entire investments. Now let’s look at what they have been promising in their sales material. What happened to these promises? Apparently, the promises given by CodeFibo in their sales material are just blatant lies used to lure their potential victims into the scam. This disclaimer is not here as a fair warning for the consumers, but as a tool to protect the scammers from any legal actions. If CodeFibo scam really wanted to be honest with you, they wouldn’t have promised you blatant lies in the sales material, while revealing the truth in a hidden disclaimer. You can’t even sue them if you lose all your investment with the software, because it’s been stated in the disclaimer that they do not guarantee any profit. How to Make Real Money Online? CODEFIBO IS A SCAM. We strongly advise you to stay away from the scam if you don’t want to lose your hard-earned money. No wonder I thought the prof was familiar! I signed up for virtual income scam a while back, nearly fell for this one as well. Should’ve learnt my lesson! Thanks for saving me a few hundred bucks! Hi Maggie, glad we could help! Remember to stay alert and stay safe.